Arlington World Languages: New Language Lab @ AHS! 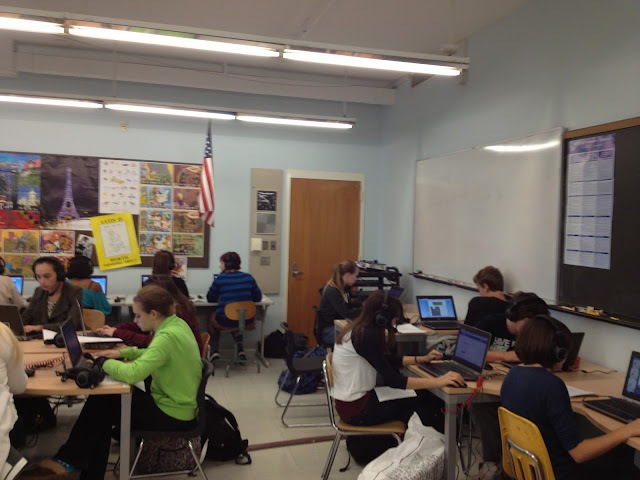 Language students at AHS were surprised to see some new technology when they got back to school this year! Over the summer, 31 new laptops were purchased and set up in what is now the Language Resource & Technology Center in the World Language wing. New headsets were also purchased making the sound quality on the machines top notch. The old language lab was near the main entrance of the school--a bit of a hike for teachers and students--and the computers were run down and difficult to use. 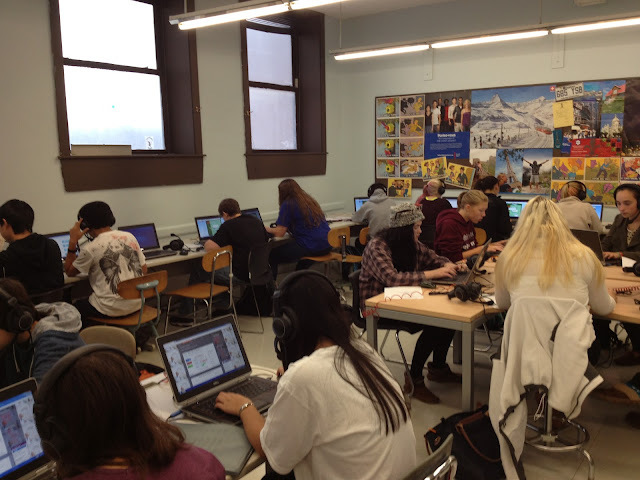 Teachers have begun bringing their classes into the lab to do listening and speaking activities, internet research, and individualized practice activities. 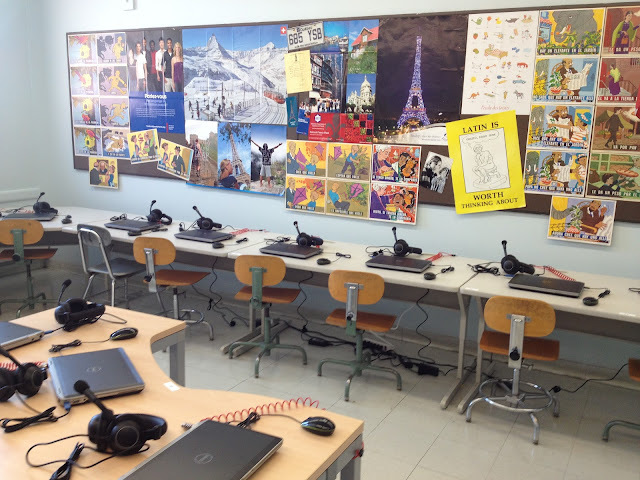 With the purchase of the new lab, the district also funded a subscription to an online language lab software, SchoolShape.com, which allows teachers to create interactive speaking and listening exercises and have one-to-one conversations with students who may need additional practice. There are still some technical kinks being worked out, but overall, everyone is very happy to have a new technology space housed in our department!